Geschichte - Homepage der Biker-Brummi-Hilfe e.V. / Homepage of the Biker-Brummi-Hilfe e.V. 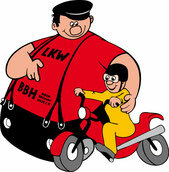 The association "Biker-Brummi-Hilfe (BBH) e.V." was founded on 03.04.2011 in the south of Lower Saxony Uslar. He has his seat in Weyhe near Bremen. The club was founded by motorcycling hauliers and their friends. This includes hospital equipment and equipment, medical equipment, consumables, hospital and surgical laundry, as well as wheelchairs, walking aids and other aids, as well as materials for child welfare facilities and old clothes. 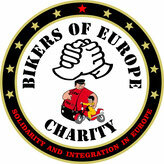 In the course of various restructurings for the charity activities from the Eurobiker network, it then developed that in the future the sometimes very large aid transports were organized by the long-term actively supporting hauliers and friends in a separate aid organization (BBH), during the Eurobiker Aid Society ("Eurobiker-Charity eV") has turned to other donation activities. Around the association there is a large network of supporters and helpers in Germany as well as in other European countries. Healthcare personalities and institutions are regularly contacted for possible fundraising material, and there is contact with many medical device manufacturers and traders. Members of BBH and supporters of the association continue to organize their collection and transportation to interim storage facilities in northern Germany. From there they are driven to donation destinations such as hospital facilities, other health care facilities as well as those of children's aid especially in eastern Europe. The target regions are mainly in the countries of Kosovo / Albania, Bosnia, Croatia, Romania; there are contacts to the Chernobyl region. On-site in these countries live friends and partners of the members of BBH, so that reliable connections with the target institutions and the corresponding responsible person can be established and maintained. In addition, at the beginning of each new project, members of BBH drive to the destination and the associated facility to personally get an idea of the situation. Warehousing areas are available from forwarding partners or others for the storage of the donation materials. For the transports hauliers with and without member status as well as other supporters provide vehicles. The drivers for the transports are also essentially recruited from among the club members; they work on a voluntary basis. The association is registered since 18.11.2011 under the registration number 200700 in the register of associations with the district court Walsrode. With statement of 10.10.2011 by the tax office in 28857 Syke he is under the tax number 46/270/07182 retroactively recognized as of 01.04.2011 as an exclusively non-profit association.